I bought a very ugly homemade wooden box at a thrift store in the beginning of March. When I got the summer issue (in April!) of Cloth paper scissors I knew what I wanted to do with it! Great fun to make, and I’m very pleased with the result! 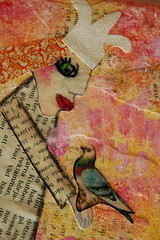 Yes, collage artist Misty Mawn, whose blog I often visit. She wrote a great article on how she creates these amazing backgrounds on paper and on 3D-items (like boxes) too. I love her style and it was so fun to try to add more paint layers than I usually take the time to do… and creating this Misty Styled Girl was great fun too! 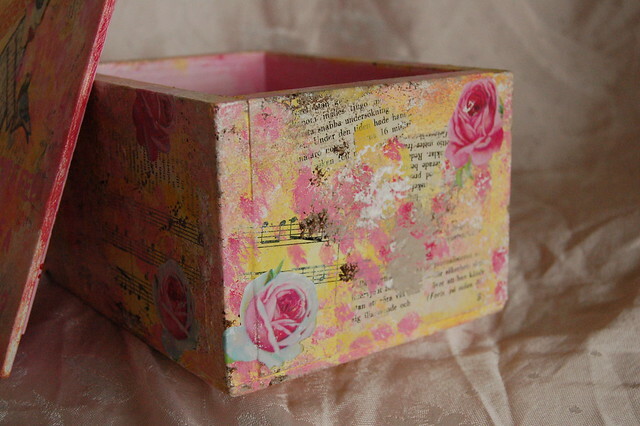 I want to decorate more boxes! 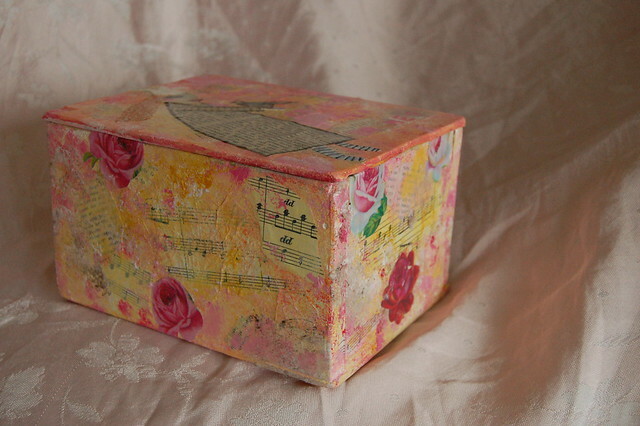 This entry was posted in Art Experiments and tagged creative potential, decoupage, storage. Bookmark the permalink. OMG! that’s one cool job! 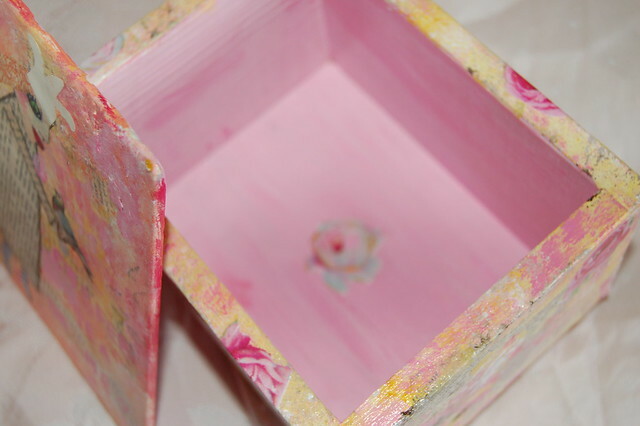 What a darling box you have created, i like the little detail you added inside too! I love this. Pink and yellow is one of my favorite color combinations. 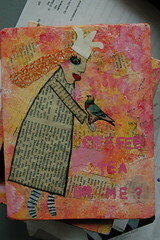 Love all the layers too, just like this weeks theme for Book of Dreams. Great work! I love the use of newspaper for her dress. I would like to cover my sugar box! I cannot find a link for that magazine on Google! Really nice! I love the colors. When I google cloth paper scissors this is the first link here! :-) Go get it, a great magazine! that is a great thing to do with an ugly old box.